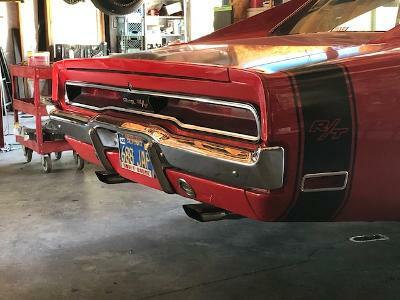 Looking for something to put on a hemi challenger clone other than t/a they are speed rated to 112 I'm looking for a bit more wheels are 15x7 ralley something like a 255 60? forget the 15s and put 17x9 " ralley's from year 1 , then you can put 275 40 17 in lots of choices.There are no good 15" size tires any more. If you step up to 255/65R15 then you have a V rated option, one option. Maxxis Marauder and Mickey Thompson SR (NOT the ST) are both H speed rated (130 vs the V at 149) and reasonably priced and available in a variety of 15" sizes through a variety of outlets. Z rated tires are available in the Avon CR6, but they are not cheap and their d.o.t. approval is marginal. These are race tires parading as a street tire for vintage race cars. Used to be a lot of choices but I think those days are gone. I had one a nice set of Goodyear Gatorbacks on my '65 Coronet back in the 80's. Those were some cool tires and they would be perfect for your car if they still existed. I think I was running a 225/55-15 on 15x7. Looked great, handled great. Kind of a perfect setup back in the day but I don't think that stuff is made anymore. Actually, it does look like Goodyear is reproducing the original Mustang Gatorback but they are charging a fortune for them. 225/60-15 with the V rating is available but they are $300 each. You have a clone, why stay with a 15" tire? There are better choices in 17" and 18" tire. They are also a more modern tire that drive better. Some things should be left in the past.Tires that I thought were good in the 80's I would think that they are bad now. As we went through this putting tires on the wife's Dakota R/T. We get use to the modern tire on DD. We upgrade the shocks and motor but put on a 70's technology tire and that makes no sense to me unless you are going for concourse show winner and trailer the car every where. Go to Tire Rack and look under there surveys under one of the summer tires category and see what is rated well. Sorry if I came on a little strong, this is a pet peeve of mine. They still make good tires in 15" size, just at unreasonable prices. The Gatorback is a really good high performance tire. If I had a set of 15 inch rims that I liked then I'd probably pay the $1200 for a set of Gatorbacks that fit. I suppose it would be possible to find a set of 17x7 rims complete with tires for $1200 too, but the look might not be correct. I used to make a kit to put the 17 inch Mustang Bullit rims on a Mopar. I really liked the look of those wheels but a lot of people thought it was a sin to put 17 inch rims on a Mopar so I didn't sell very many of the kits. I put 17 inch rims on my early B body back in the 90's and most people back then thought I was a fruit cake. These days there are more people in the Mopar hobby that can handle seeing 17 inch rims on an early B body. The last car show I went to I didn't have any negative comments on the rims. Most people thought they looked good and only a few people even noticed what size they were. Those wheels do look good on your 65 Andy. I'm in the same boat as Sandy...looking for a decent set of 15" tires for my 64 or go 17 or 18" rims/tires. I'm leaning towards the latter. Really like the wheels on Ray Evernham's 64 Plymouth. I was one of those back in the 90's that larger wheels and tires looked wrong. Then I drove one with larger wheels and tires and I said wow this is nice. What was I thinking before, are tires for looks or for driving experience. I have never looked back. IMO, the problem with 17"-18" etc is the short sidewall... intended for better cornering/steering/handling response. Cars with monster BB engines -- especially a heavy Hemi -- need more sidewall to carry the weight, as well as through the corners. Short sidewall tires are not forgiving to the weight demands of a front-end heavy BB car. You could consider a 16" and run 255-50-16 tires an minimum 8" rims. The 17x8 or 17x9 YearOne replica Mopar rims do look pretty good. You could run 275-40-17 up front (preferably on the 9" rim), as well as a 305 or 315 on the rear ( a little pinched but will fir.. I've seen it). the YearOne rims have the correct backspacing to fit front and rear... I suggest staying with their 9" rims front and rear. As everyone knows, the choices of 15" are so limited. I run BFG T/A 255-60-15 front, 275-60-15 rear, both on 15x8 vintage minilite road race rims... these are my cruising tires... rides/handles just fine. I also run BFG Comp 255-50-16 on vintage minilite road race rims, 16x8 front and rear... for track lapping events... handles fine. Eventually, I'll be getting 18x10 (or 10.5-11 wide) rims and run 275-35-18 200 compound tires for track events. Unless you're running track events, the choices of 15" tires are OK for cruising... even at 245-60-15 fronts as the smallest you'd want to go. Last edited by Mopar Mitch; 07/02/18 04:42 PM. My take is that few of the cars are daily drivers anymore, therefore a set of tires that used to be replaced at 3-4 years, now last decades, or till they are unsafe and come apart! I'd like to see a comparison test of the remaining affordable 14 and 15 inch tires. Maybe people could chime in with some of the regional brands they come across. I think Mastercraft still has a few sizes, Cooper, and BFG, anyone else? Maybe restricted to under $200/tire? Anyone know if BFG would shave a set of T/As, most of us will never wear them out in normal driving, might improve the performance of an average tire. These are all the 15" tires sizes Tire Rack lists as currently available. All the data you need to evaluate them is at Tirerack.com. Price, reviews. specs,, etc. Enjoy. Nearly every 15" street tire out there is marketed as a cosmetic performance tire. IE, they look really good on a classic, have an S or T speed rating for casual driving, and tread depth that will outlast their sidewall life because of their 400+ treadwear rating. However, most of these are under $200 for even the widest sizes. There also are a host of racing tires in 15" due to many sanctioning body's requirements to stick with 15" diameters as a cost saving measure, despite being $200+ per tire. Some of these have d.o.t. approval as a means to met certain rules requirements but they aren't necessarily street tires because of significantly reduced tread depth and ultra soft compounds. However, if you don't mind paying twice as much for a tire who's tread life is a better match to actual usage and proves really good grip (200 tw rating or less), then some of these may work. There isn't a lot of middle ground any more. Maxxis and Mickey Thompson are the only two that could fall into this category these days with their carcass design and speed ratings but the Maxxis has a pretty high tread wear rating, so it isn't the stickiest thing out there. MT does not provide tread wear ratings, but claims 15-20k is possible with their SR series, so it obviously is on the softer side. BTW, neither of these is available with a raised white letter sidewall either, a primary consideration for a large number of tire buyers in these forums. Depending on the actual 15" tire you are thinking of there is decent middle ground. not gonna find a 60 or 70 aspect ratio in a high performance tire though. NITTO and others have XL rated tires if you are worried about load ratings. I run 255 45 17 on the front and 255 50 17 on rear of my 69 Bee and it drives great . Rims are 17x9 all around. Wow....Sandy disappeared as if he knew we had no more beer. How is that relevant to the OP's question? I tried a few different 17 inch tire combos and came to the conclusion that 235/55-17 is almost perfect for muscle cars. That size is tall enough to fill up the wheel wheels, it has a good combination of ride and handling and it is an easy size to find. Last edited by AndyF; 07/04/18 04:45 PM. I don't think you're wrong on anything you've said here but I'd like to offer a couple of (hopefully helpful) counter points. 1) as for big block cars needing the extra sidewall...I get your point but the question comes down to the goals of the driver. Sidewall flex isn't always the preferred way to manage suspension compliance, especially in cornering as any sidewall deflection will come at the cost of contact patch. Yeah, the extra sidewall usually gives a more comfortable ride but it's very seldom going to help any car get through corners. Before buying tires/wheels, we need to check the load rating...then tune the rest of the suspension to taste. 2) I'd say NO to 16" wheels...they're a good compromise for looks and more modern sizes but they're also pretty un-loved in the performance car world. They were probably "in style" for an even shorter amount of time so market support for 16" wheels may not be as good as 15" just a few years from now. 3)YearOne replica Mopar rims- ehh...100% personal taste but they do not look great to me. I really wanted to like them but after seeing them in person, they were just "ok" IMO if you squint. Lots of folks do like them but I'd strongly urge the OP to see them in person before buying. As for your choice of 15" Minilites on the 'Cuda... flawless taste, sir. If I had the money, that's exactly the route I'd go. Last edited by MRGTX; 07/05/18 09:20 AM. That looks perfect, IMO. I like that they're not trying to look vintage to hide the fact that they're a modern size...yet they're super clean looking. Those are the unreasonably priced tires I mentioned above. $400 each in the size you mention. Ouch. I figured they'd be pricey but that's just painful for a tire that will probably only last a few thousand street miles. I wonder how much of that is import costs. The tires? I don't know, some random tire I picked up at the local tire store. That is the nice thing about the 235/55-17 tire size. They are so common that you can get a speed rated tire for discount prices. Oh, I actually meant the wheels! That is because these are the Z rated racing tires that just happen to have a d.o.t. rating that I mentioned earlier. They are popular for the kit Cobra crowd for period correct look and ultimate grip. You can find them state side at Roger Kraus Enterprises on the west coast or Frisby Preformance Tire in the mid west. While that’s a bit disappointing, I’m glad that it looks like you got what you paid for. They’re probably the best looking 17” wheels I’ve ever seen on a Mopar! At least it will be extremely unlikely that anyone will be able to copy you. Fikse strong, light and a work of art. you see them on high dollar cars. $1200 to $2000 each, do I need to say more but I want a set. Fikse FM5 wheels. Kind of a classic wheel design. I bought these back in the early 90's so they are about 25 years old. Just been busy enough to read not reply . The Hemi challenger isn’t mine it a project I have been working on for a few years . Things change in the original build but one thing I bought early on were 4 no’s 15x7 ralley wheels and although we upgraded the brakes to larger frt and rear disk they fit the 15 Ralleys . Last edited by SANDYinNS Canada; 07/14/18 01:44 PM. I duuno if I'd call an all weather tire a "racing tire that just happen to have a d.o.t. rating" but whatever. thing is, it is there and if someone wants to do stupid speeds with a 15" tire well, you gotta pay the man. In triple digits speeds these things get to be a handful for any sustained amount time. A 150 blast down a strip is for a few seconds at top speed is entirely different than 120 for 5 minutes. I would think that H rated tires may be fine. SAE speed rating tests the tire at the target speed for an hour at 100*. That's more than I'd imagine the driver, and the car, would be up to. Maxxis, MT SR, and Hoosier Pro Street can do this. If skinnier tires are okay, the V rated ones higher up in the thread may be okay. The Avons can take him into Z rated territory. He also could look at Hoosier Circuit Racing wet tires that have a street appearing tread. However, these may not have a d.o.t. stamp which could be a problem if he has street inspections to meet. IMO, if he has sprung for a 750 hp Hemi, then $400 each for Z rated tires is chump change. Tires and brakes are consumables. He can't cheap out on them because they are. If you read into the description far enough to see that they call this an "all weather" tire than you also read that they are a "road legal competition" tire and that they use "competition compounds". You may have also noticed that these tires are listed as an "approved 1B permitted race" tire in the UK, which means it is the equivilent of a Hoosier d.o.t. compliant SCCA competition tire. Maybe your cherry picking your points, maybe you're just a lazy reader and stopped once you found your point, but, as you say...whatever. If I was only reading enough to prove my point I would have read that is it not DOT compliant. The equivalent is not the same as having DOT compliance on the sidewall. Point I was trying to make, which I apparently didn't make to you, was that if you want to run stupid speeds with a 255/60R15ish tire this is what you have to pay and what you have to run. If you are a bit more flexible in your sizing you can get more reasonably priced tires that meets the speed rating and are genuine street tires not pseudo ones.